By request, I recently developed a 243 Winchester SUBSONIC round shooting the 85 grain Sierra SP at 1030 fps in 22″ barrel. This is with new brass and Sierra 85 grain SP bullet. 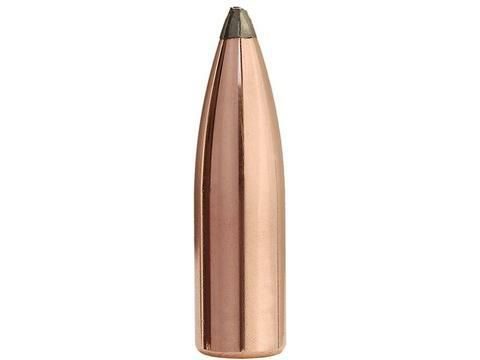 This bullet will stabilize in a 1:10″ twist barrel or faster (1:10″, 1:9″, 1:8″, 1:7″, etc). I do NOT recommend shooting the 85 grain SP sub ammo in a barrel with a twist rate of 1:11″ or slower (1:12″, etc). Why use a 85 grain SP bullet? Most 243 Win barrels will have a 1:10″ twist barrel, with some having a 1:9″ twist or faster. 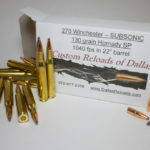 To get a subsonic .243″ bullet to fully stabilize at subsonic speeds in a given twist rate, bullet stability becomes a huge factor for it to stabilize and shoot well. Bullet length is a major factor in how stable a bullet is in a certain twist rate. In a given 243 Win twist rate (like a 1:10″ barrel twist) and slow subsonic speeds, a shorter, flat base bullet is more stable than a longer BTHP match bullet is of the same weight. 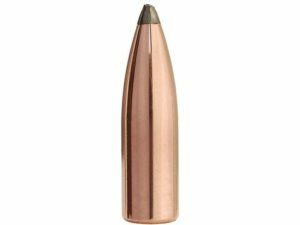 The 85 grain Sierra SP flat base is a much shorter bullet than a similar weight BTHP bullet, or a 100+ grain SP or HP bullet. 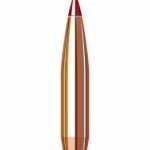 This allows the 85 grain SP flat base to be more stable and have the potential to be more accurate at subsonic speeds than a BTHP design that makes the bullet longer, requiring more twist rate to stabilize it. BC (ballistic coefficient) is for supersonic flight, and does not matter at subsonic speeds. Having a high BC bullet at subsonic does not benefit the shooter at all. This is why the 85 SP flat base bullets work well as subsonic round in the 243 Win!